Dr. Davis utilizes the Gonstead Method of Chiropractic Analysis in her office. The Gonstead Technique was developed by Dr. Clarence Gonstead and is a highly effective full spine technique that focuses on a biomechanical analysis of the spine. The body’s foundation begins with a stable pelvic girdle to provide balance to the spinal column. When a bone or vertebra tilts or rotates out of position, a vertebral subluxation occurs. The alignment of one of the vertebra or bones in the spine places uneven pressure on the discs in the spine. The vertebral subluxation causes pinching or pressure on the nerves that run throughout the spine. The pressure on the nerves creates a disturbance in the proper transmission of nerve impulses from the body to the muscles, organs, and glands. Visualization – Dr. Davis will perform careful examination of the tissues around the spine. 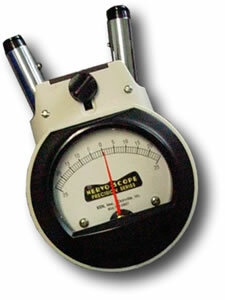 Instrumentation – The instrument of choice for Gonstead chiropractors is the Nervoscope. The Nervoscope detects uneven heat distributions along the spinal column. The heat differentiations can indicate nerve inflammation and pressure. Static Palpation – Static Palpation means to feel or touch down along the spine. The chiropractor is feeling for swelling or edema, tenderness, or any abnormal muscle tightness. Motion Palpation - This involves moving and bending each segment of the spine. A subluxation means there is a lack of proper motion at a specific vertebra. Your Gonstead chiropractor has been trained to detect the lack of movement. X-Ray Analysis – X-rays allow your chiropractor to visualize your entire spine. The Gonstead chiropractor is unique in their x-ray analysis because they utilize full spine films. The full spine radiographs are beneficial to examine posture, joint and disc integrity, vertebral misalignments and to rule out any pathologies or fractures that might be contributing to the patient’s health. The x-rays are taken standing to show the true weight bearing position of the patient. After a complete analysis, Dr. Davis, is ready to deliver necessary spinal alignments. The focus of Dr. Davis’ adjustment is to be as specific, precise and accurate as possible, addressing only the problem areas (areas of subluxation). Great care is taken to ensure a mechanically correct position and precise thrust to provide the most accurate and painless adjustment possible. It is the goal of Dr. Davis to restore and maintain optimal health by locating and correcting any interference to the nervous system caused by vertebral subluxation. Myofascial Release is a safe and effective hands-on technique that involves applying gentle pressure into the myofascial connective tissue restrictions to decrease pain and improve motion. Restrictions in the myofascial connective tissue can be caused by trauma, inflammatory changes, and/or surgical procedures. Tensile pressure of approximately 2,000 pounds per square inch on pain sensitive structures may not be easily detected in standard tests like x-rays, myelograms, CT scan, or sEMG. Craniosacral therapy utilizes a soft touch to release tension in the soft tissues that surround the central nervous system. The practitioner uses her hands to evaluate the Craniosacral system by feeling for the rhythm of the cerebrospinal fluid that pulsates around the brain and spinal cord. Any restrictions that are felt or palpated are released to decrease any imbalances or dysfunction in the body. If you’ve been to a chiropractor before and prefer to be adjusted in a particular way, let us know. We want you to relax, enjoy and fully benefit from your chiropractic care. Give us a call today (919) 615-2257!